One Blackfriars is a new iconic, mixed-use development situated on the south side of Blackfriars Bridge overlooking the River Thames. Its prime location has unobstructed views of St. Paul’s Cathedral as well as the river toward Westminster and Tower Bridge. RAM Concept was utilized for the centerpiece of the development, which is a stunning 170-meter-high tower. 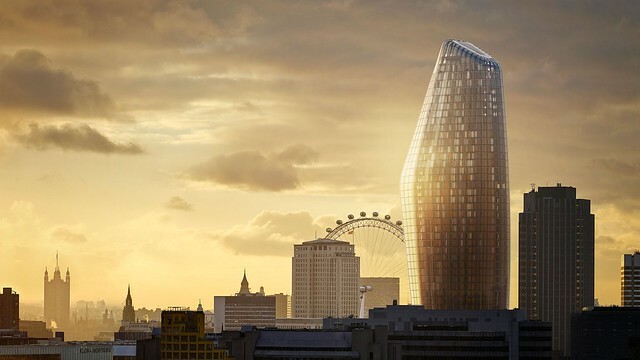 The building is a geometric masterpiece that creates an elegant silhouette on London’s skyline. The 50-story tower accommodates 274 homes, a private viewing lounge, and a multi-level penthouse crowned within the glass rooftop structure. Taking advantage of RAM Concept, the tower’s column configuration was optimized for the complex 3D geometry ensuring the design was at once structurally sound and visually iconic. 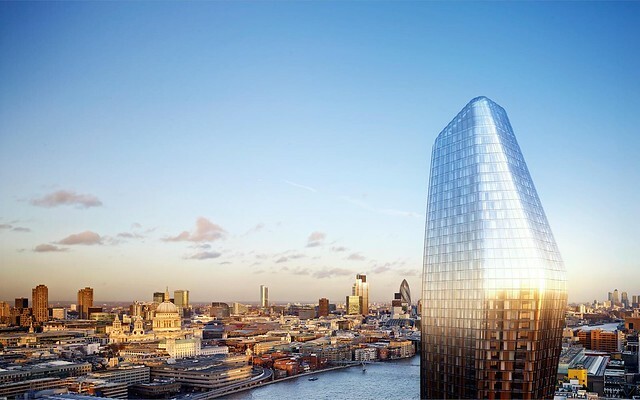 The vison for the project was to inspire future generations of designers and add a stylish statement to London’s skyline. WSP was contracted to design the structural framing solution that would fit the proposed apartment layouts. The entire development is built over a three-story basement structure housing a swimming pool and spa facilities. A private cinema, wine storage, and parking for residents are also provided in the basement. A top-down construction sequence for the basement saved time on construction. The piling configuration was arranged to enable temporary and permanent works to be combined to increase efficiency. All structures are reinforced concrete frame elements. The hotel and tower floors make use of thin post-tensioned slabs for a maximum floor to floor height efficiency. Once the design was completed, MicroStation-based structural drawings were issued to the design team, including the architect, client, contractor, and quantity surveyor for pricing. The cladding contractor was also able to utilize the model for façade design. For this GBP 200 million project, WSP knew that with this innovative design no layout or floor plan would be the same. The design team used RAM Concept to model and design 225-millimeter thick post-tensioned concrete floors. Post-tensioned concrete was considered the most cost-effective solution based on minimum structural zone and reduced self-weight of floors, which allowed for maximum slab spans. RAM Concept’s ease of use allowed for multiple design development options to be explored throughout the design process. RAM Concept enabled WSP to push the structural design to the maximum limit, providing innovative designs for each bespoke room and floor. The software saved considerable time throughout all stages of the project and allowed multiple iterations and changes to the design to be explored and adopted from initial design proposal stage through construction. With RAM Concept, WSP ensured that this innovative design was in full compliance with European design codes and automated drawing productions from MicroStation for client and design team coordination. “Bentley’s RAM Concept and MicroStation software packages enabled WSP to design and deliver one of the most iconic projects in Europe. The software was very effective to coordinate and design cost-efficient and environmentally friendly solutions for the benefit of the client and the local community. The project stands proud as a centerpiece for architectural and engineering excellence.” Aret Garip, Technical Director, WSP, UK.